The color code traffic signal might be an unusual golf tip that a golfer might use, but the traffic signal is actually one of the best golf tips to improve the golfer’s mental game from tee-to-green. The traffic light is especially great for the golfer to use around the green and out of bunkers. The most important golf shot, based on statistics, isn’t the golfer’s putt, as that’s the second most important shot. The most important golf shot in the golfer’s arsenal to lower their score and handicap is their approach shot. The approach shot will determine the length of the golfer’s putt, once on the green. Even professional golfers’ putting accuracy inside a 3-foot putt is 99 percent; and that drops off to 54 percent for an 8-foot putt. The percentages even drop off further for a putt between 10- and 15-feet, with only a 31 percent chance of making their putt. This is why I consider my chip and pitch shots as an airborne putt. Just as much attention should be given to a 60-yard chip or pitch shot as that of a 6-foot putt by the golfer. My goal for either a chip or pitch shot is to get the ball to come to rest within a 6-foot distance of the pin. This keeps me from having to three-putt, for bogey or worse, instead of making par or better. The amount of roll out of the ball is what I’m trying to control with both the chip and pitch shots. The roll out distance is just as critical as my impact point. Matter of fact, the roll out distance is even more critical to me. Unfortunately, the golfer isn’t rewarded for hitting their chip shot within 5- feet of the pin and then seeing their golf ball roll 20- feet past the pin and even off the green. So having color codes of ORANGE for my chip shots and RED for my pitch shots helps me to visualize how I want the golf ball to react after impact. The mental image of either the ORANGE chip shop or the RED pitch shot will help me to pump the brakes for a controlled roll out for the ORANGE shot, or put the brakes on hard for a sudden stop, with a slight backspin for the RED pitch shot. One of the Mental Rules of golf on how the subconscious mind works is RULE No. 5- What you expect tends to be realized. The subconscious mind responds best to images and color, like the traffic light provides. In my training sessions, I typically develop a mental image of a traffic light for each of my shots, and that allows me to physically perform the golf shot that I’m expecting to make. The body can’t go where the mind hasn’t been. Even a quote by Bobby Jones, Sr. supports this approach- Golf is a game that is played on a five-inch course – the distance between your ears. 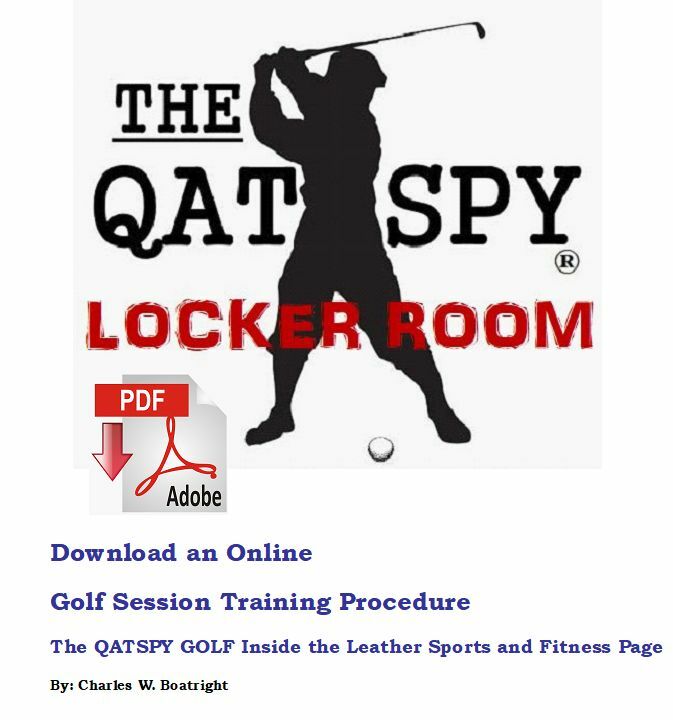 This Self-Coaching download contains 12 pages of simple step-by-step procedures, tips, and illustrations to help the golfer apply and retain the material presented on and off the golf course.